Gov. Lee comes to Chattanooga to talk about his school voucher program. 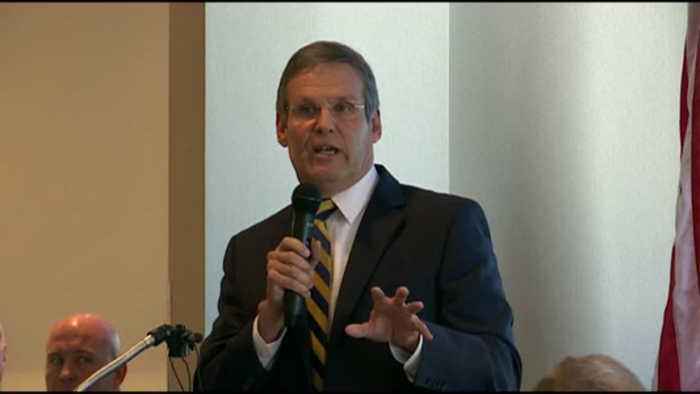 After 2 months in office, tennessee governor bill lee visited chattanooga again today to talk to local business leaders about his education reforms. news 12's angela moryan joins us now live in studio. Angela, what does the governor say about his controversial voucher program initiative? Governor lee spoke at the chamber of commerce meeting today, focusing on the positive impacts his education savings account proposal. He says not every student would qualify. If approved, this initiative would only target certain school districts and low income students. Bill lee: "people will give you five, or six, or seven reasons why you should be concerned about doing this. I can give you 5,000. That's how many children would be eligible the first year to do this. I give you 5,000 reasons why we ought to do it." 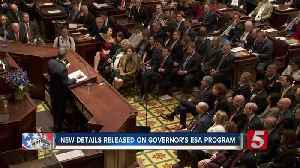 Republican governor bill lee has chosen a new voucher program as one of his top priorities in his first 100 days. The idea has met a lot of criticism, mainly from educators who worry the program will decrease funding to failling public schools. However, governor lee says that's not the case. Lee: "when students leave, that money is replaced. And what happens actually is the school district for which this applies has more dollars per people than they had before to actually stregnthen those schools that are there." The program would only apply to low income students in five counties. Hamilton county is one of those five. Lee: "we have to invest in public schools. We have to support our public school teachers in a powerful and strong way. We have to be certain that our public schools are undergirded, stregnthened, supported, encouraged." Hamilton county state representatives like the initiative but are waiting for all the details. Todd gardenhire: "we all want to be cautious. Some of us say, it hadn't worked guys, admit it. We need to make a change to give these children a chance to get out and not shackle them for the rest of their lives." Lee: "if tennessee is going to lead the nation, then we better lead the nation in education." Governor lee says the students participating in the program will be tested with tennessee ready to check if the change helped. If successful, the governor hopes to add another 25- hundred students in the second year. Reporting live in the studio, angela moryan, news 12 now. New Jersey Gov. 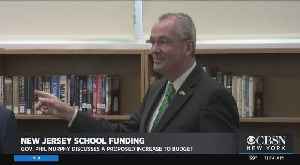 Phil Murphy talks school funding at state budget at Fort Lee High School. Gov. Bill Lee says his school voucher plan will now cost $125 million over the next five years in his pursuit to allow more parents to use state funds to pay for their children's private education.